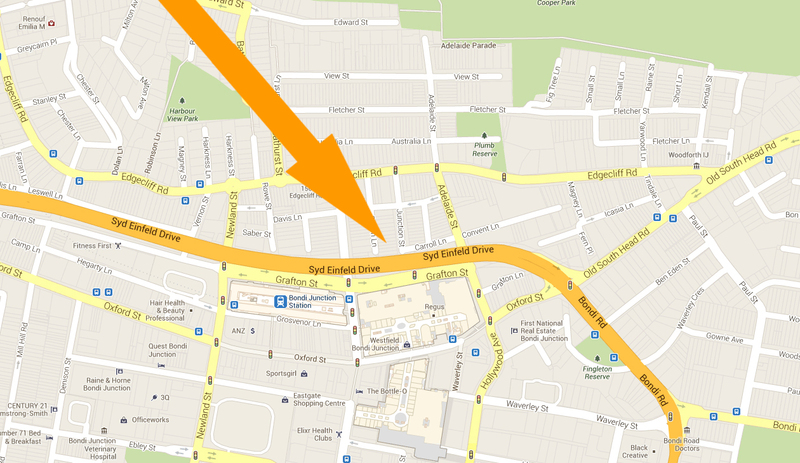 Parks Clinic is located at 12 Junction Street Woollahra, near the Bondi Junction commercial centre. By car, entry to Junction Street is via Edgecliff Road. Two-hour parking is (usually!) available on the street, and there is an entrance to the Westfield car park at the end of the street.